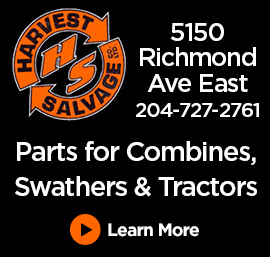 Saskatoon, SK (CKLQ) - The Brandon Wheat Kings fell behind early and couldn't recover in a 6-3 loss in Saskatoon on Sunday afternoon. The Wheat Kings did not get the start they wanted as the found themselves down 3-0 after the first period. Riley McKay was sprung on an early breakway and beat Jiri Patera with a nifty little backhand move. Patera, was making his first start since January 25th finished the night with 31 saves. Midway through the period, the officials handed Ben McCartney a questionable charging penalty and the Blades capitalized. Birthday boy Kyle Crnkovic beat Patera to the near post and tucked home his 7th of the season. Before the public address announcer could finish the Crnkovic announcement, Blades Captain Chase Wouters snapped his 11th of the year over the pad of Patera to open up a 3-0 lead. Brandon would get back in the hockey game early in the middle frame as Linden McCorrister notched his 12th of the year shorthanded just 0:32 into the period. The goal was Brandon's 7th of the year while down a man. Midway through the frame, Stelio Mattheos would capitalize on a powerplay to bring Brandon within one. Mattheos finally found the back of the net after firing 14 shots on goal in Friday nights win over Swift, without scoring. The momentum didn't last long for Brandon as Chase Wouters responded with his 2nd of the night just 1:01 later. The Wheat Kings weren't going to go away quietly and added another powerplay goal later in the period to bring the game back within a goal. Ridly Greig finished off a nice give and go with Braden Schneider to bring his club back within reach heading into the intermission. Saskatoon would put the game away in the third on an early powerplay goal from Moosomin's Dawson Davidson. The point shot fooled Patera and put the Blades up by a pair. Riley McKay would add an empty netter for good measure as the Blades win their fourth in a row. Brandon drops to 23-21-3-4 on the season and fails to pick up any points in the race for the final playoff spot in the Eastern Conference. The Wheat Kings will return home on Wednesday night as they welcome the Edmonton Oil Kings. (7:00 on QCountry Radio).